Vampire Garreth Mikaelian thought he had his existence all arranged. He is comfortably settled in a town where, his nature unknown to those around him, he works the night shift as a police officer. 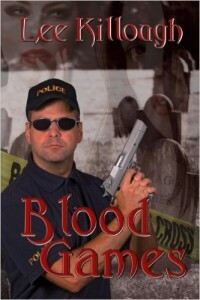 His blood comes in bottles. He has a routine and friends. But that peace is shattered when his fellow officer and sometime lover Maggie Lebekov is killed by a lethal trio playing ever escalating blood games. Garreth finds himself racing to locate the suspects before other law enforcement officers do, to be sure they are captured alive. Because if they are not yet vampires, and the leader may already be a very old and powerful vampire, they have drunk vampire blood and if killed will rise again even more deadly.